Jaguar was founded in 1922 as the Swallow Sidecar Company, manufacturing motorcycle sidecars before turning to automobile bodies. In the nearly 100 years since, the company has gained a reputation for automotive excellence, luxury, and performance. But even the most finely engineered and manufactured vehicle will eventually need car repair. And when your Jaguar experiences a breakdown in Lafayette, the best choice is the auto mechanics at Guaranteed Automotive & Transmission Service. Our ASE-Certified auto mechanics have decades of experience repairing all the systems in Jaguars and a wide range of other vehicles, both foreign and domestic. No matter if the problem is mechanical or electrical, we have the diagnostic tools and techniques to get to the bottom of the issue quickly and repair the problem efficiently. We focus on what specifically ails your Jaguar and wouldn’t even consider selling you parts and service you don’t need. 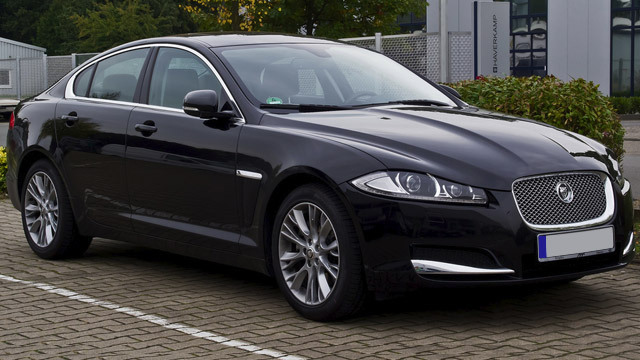 If we need to keep your Jaguar for a complex auto repair, we’ll gladly give you a ride to where you need to be in the Lafayette area in our shuttle or, if you prefer, we’ll arrange a discounted car rental through Enterprise. For auto repairs that our auto mechanics can perform relatively quickly, you’ll love our family-friendly waiting area. Relax with a Keurig coffee while your kids enjoy the children’s play area. At Guaranteed Automotive & Transmission Service, you’ll feel right at home. So the next time your Jaguar is in need of expert car repair, the auto mechanics at Guaranteed Automotive & Transmission Service will have you back on the road in no time. Schedule an appointment online , call us or stop by. Guaranteed Automotive & Transmission Service is conveniently located at 3742 State Rd 38 East Lafayette, IN 47905.